Chartered Accountancy Course- How To Become a CA? The CA (Chartered Accountant) is one of the respectful and challenging career fields. CA is a good option for higher education in India. Chartered accountancy was established in 1854 in Britain. It is the core activity of the business. In India, the CA course is conducted by the ICAI (Indian Chartered Accountants Institute). A chartered accountant is the member of ICAI. The membership can be continued through the prescribed fees or yearly payment. “A chartered accountant deals with the financial management and carries out the financial audits”. A chartered accountant works as a private advisor or in the accounts department in an organization. 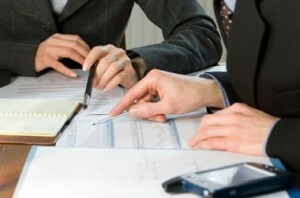 Chartered Accountant plays an important role in case of disputes, bankruptcy, etc. After the completion of this course you can go for the works as auditing, cost accounting, tax management, management accounting, consultancy and financial works in an industry. Get Latest Career Notification about Chartered Accountant Courses, by entering your details below. The CA as the member of ICAI can use the prefix “CA” after his or her name. It takes the 5 years to complete the CA course. By the year 2006, the ICAI has launched the three level of this course. The CPT is the entry-level foundation course involves the quantitative aptitude test, general economics, mercantile laws and accounting. The IPCC has two groups. It covers the working knowledge of the core subjects. It is specially designed to improve the knowledge of accounting standards. The CA final course covers the advanced knowledge of financial reporting, management accounting, strategic financial management, professional ethics, information systems control and advanced auditing. The students who had cleared their plus two examination can go for the foundation level test conducted by the ICAI. After passing the group 1st, the students have to undergo the on-job training period of 3 years called “articleship” with an audit or accounts firm. After completion of the articleship, the student can appear the final course. The GMCS (General Management and Communication Skill Course) is the 15 days mandatory training course introduced in 2003. Chartered Accountancy subjects, mostly deal with studies such as budget planning, market research, planning of policies, management of working capital of an organization, etc. The students with the commerce or science or arts background can get the admission in CA course. Students should have the knowledge of the computer as the all account work done with the help of a computer. After the completion of 12th standard, students can take the admission in the CA programme through the CPT (Common Proficiency Test). Interested students can register for the test after passing their 10th examination, though they are supposed to appear for the test after 12th. Students, those pass their graduation with commerce stream, they are required to pass their 12th exam with minimum 50% aggregate marks. Non-commerce graduate can also apply for the CPT, if they clear their 10+2 examination with at least 55% marks excluding mathematics & 60% marks including mathematics. If he/she becomes passing in CPT, he/she would be enrolled as the member of ICAI. The career as a Chartered Accountant is an interesting career option for the commerce background students. It plays an important role in the day to day economic life. It is one of the best job oriented courses in India and abroad. After the completion of the course, the candidates need to get the membership and certification by the ICAI. The membership is the subject of annual renew by submitting the 400 Rs as the annual fees. The CA professional cannot work in any other field ones they get the certification by the ICAI. They will have to take the permission from ICAI before doing so. Since last 4-5 year, the demand of young CA has been increasing. Only India looks for the 7500 to 10000 fresh CAs every year. All industries and organization require the CA for its accounting department. The job prospect of this field is very much brighter. As a CA, you can work in government or public service undertakings as well as the private sector companies. You can also have an option to either be employed with a firm as an employee or you can choose to open your own private practice. A chartered accountant can also work in various areas of banking, tax management, auditing, financial accounting, cost accounting & consultancy. You can work as a finance advisors, managers or directors of finance & also as financial controllers of the particular companies. They can deal with the matters such as taxation, investigation, audit & consulting with the company. The average Salary of the CA profile is around Rs. 3-6 lakh per annum for fresher, depends the employment firms. It is one of the high paying job. A chartered accountant commands the respect in the society and organization. The starting salaries are not much handsome but after the completion of course and having five-year experience, the candidate can get the Rs. 30,000 to Rs. 50,000 per month. If you have any other query about Chartered Accountant, you can ask your query below. Doing my 12th commerce stream what is the best course for future.what i do ca,cs,cfa im really confused .finanical position of my family is not gud.plz tell me sir fees sturcture of ca,cs,cfa.im waiting for ur great reply sir plz help me. The fees structure of books, tutions is generally up to 50000. Sir, iam now studying in 12th commerce but i dont understand that which field i choose…after 12th. Sir what is the scope in future for ca. Sir how many year to study for ca.it scope in future wht are the job do after finishing ca. Giving wonderful reply thank u sir.im waiting for ur answer for this question. Sir,I am poor in math can I prepare for CA.please suggest me. Thank u for give me reply sir. apart from the depth study you must have computer skill, English proficiency and accounting skills. Shyness does not matter. Thank u for ur great reply sir!and onemore question sir.tell me sir wht is the fees sturcture for ca in the reputed college. t is around 50 – 60 thousand. Can i become a CA? Myself Pal,from Assam.I have completed my Hslc with 64℅ & want to be a CA. Should I do the same or not? Plz suggest. Also wnt to knw abt the questions pattern for the cpt.I wish u’ll help me…..
yes you can prepare for CA, you need to work hard to crack the exam. Once you complete your 12th, you can start your preparation. You can purchase any good book from the market and start preparing for CPT. Go with the best courses according to your interest and your stream. What is mean by hard work? is it very difficult to pass final examination of CA? What type of mathematics is the base of CA? Sir I want to become C.A so please tell me which subject i choose in 11th? CA is good, you can prepare it from your home and purchase some good books from the market. Sir im in matric and i want to do CA in future, which subjects should i choose in fsc? Sir i had not taken maths as my optional subject. how much it would affect for becoming a CA? you have to work hard in Maths. Sir i had not taken maths as my optional subject. And i dont have interest in maths.how much it would affect for becoming a CA? you have to work harder in Maths. Sir I am a student of class 11 comerce with maths and economics. How can i start preparing for CA this time. Will the base of 11 and 12 class from commerce decreases the toughness of CA course……? The rules and formats we learn in 11 & 12 helps us in CA course. sir….agar Maine 11 main commerce liya hai…no maths becoz maths weak hai. sir toh main 11 and 12 main commerce par ne baad kya karu. Sir i m vry much interestd in c.a …..i m gud in maths and accounts….but i m vry much confused….because my elders are asking me to do eco honours….i dont know what to do now…plz suggest…. IF you are interested then go for CA and of course it has more bright career opportunity. you can do CA right after the 12th. so wot should i do for learng computr ..i mean is dere any course for learng computr..?? there are so many short term courses provided by the institute at the corner of your street. it is not to having a best diploma course but you just need to go through with the computer operating. hello sir ,i have appeared for 12th boards this year ..all of my exams were good bt my accounts exam went a liitle bit bad ..i mean i couldn’t manage the time and approx 15 marks were left untouched …i m worried abt that ..n i knw that it will take down my overall percentage down …another thng is that i m totally confused abt my carrer ahead …i m nt able to decide what shld i do in future..i have heard abt “actuaries”..Is it a better carrer option than C.A ?? not better bu the similar and a new field and of course it will give a good break due to a new generation career. Conveyance your school for that and make them sure that you will get the good marks in final. I want do C.A after my 12th bt as u now for doing C.A we have to aware from the computer I know how to operate it but I m not so good in it.. what should I do?? Should I do some computer course???? you must get the crash course in computer operation. Going only for CA really …….One who want to do CA can go for other option parallely like b.com,mba other commerce field. Sir, what will be best option to do after h.s either to go for C.A or to do C.A after B.com?? you can do the CA and B.Com parallel. hiiii… sir mai without phy,chemistry k commerce with math le skta hun……………….. Plz give the ans…….. Sir………. or CA or Bcom sath main kar.sakta.hu ? My board exams are going on n will end with accountancy on April-6.. I m interested in B.com in a reputed college/university and also very keen for CA.. I came to know that CA can be done with Bcom.. But do very good reputed college/university will allow to do CA with Bcom.. Is there any other courses too !! I think Doing only Bcom for 3years will b a bad decision..
My CBSE maths exam was very bad.. Expecting 85+ % in 12th..
Sir , Plz reply to my query !! No there will not any issue in if if you go with both. and you must do the CA with B.Com. i hve jst apeared my hs exm n m intersted in the subjects maths and acounts the most. What course shall i chose? You can choose from the courses like CA, CS, BMS etc. then you will face problem. but I don’t have an opportunity to go out to study further..
will it be useful for me..? n after BMS what is better MBA or MMS? If there opportunity to do the CA in your home town then it will be best for you as per your your academic subjects. can i do BAF OR any other courses while doing CA ?? you can do any course. Sir i m giving my boards ths year, i m commerce without maths student, had maths in 11th bt got 60% only, so dropped it. Is there enough scope for me in CA, my fathr eagrly wants me to become CA, nd i wanna do it. Also, can i do regular b. Com frm DU with CA.!! A WAITING REPLY!! You can do CA course with regular B.Com. kya main 11th science k baad C A kar sakta hun? pls mujhe guidence kare . ca or bba?? plz help sir im so confused…. Choose that course in which you are interested, CA is a better option but will require hard work and practice to crack the course. Good afternoon sir, I’am studying b.com(comp)first year. I want to continue ‘CA’ along with ‘Degree’.can i continue? I am in 10th now..
And its time to make decisions abt my future..
Will you help me in taking a decision..?? Plz ! Maths is a good subject, and will also be a plus point in your career ahead, so i advice you to go with MAths..and start preparing for your CA exam….apart from your academic studies. CA, CS, B.Com. B.Com (Hons), BBA. hlo sir.. sir I m in 10 nd m weak in maths nd will take commerce in 11, and I want to do CA after 12. Is maths important for me??? Hii sir I want to make my future in can but by listening all d views of people that ca s shooo difficult I m scared….!!!! CA is a good career oriented course, it require handwork and practice, just like other courses…If you work hard with discipline and proper guidance, you can crack this exam. In this field CS is ok OR FINANCIAL ANALYST. score about first position and get the admin in CA. Sir which exam should i go for? Hanif sir..my question is what should be done for getting the best results in CPT..?? M appearing for CPT this year..
To crack any exam or to get highest marks, there is just one formula and that is just study hard & stay fit. But i would like to add one more thing that is feel interest and imagine your future while you study or prepare for the exam. (That is my opinion). hi,,,i’ve done Fsc (pre-engeenring)mahs,physice&chemistry as main subjects,,,,,now can i do CA OR should i do CA?? I mean if i want to do CA,m i choosing right field or m deviating from tht subjects i’d read in Fsc??? I am in 10th std. I want to become a ca . Shall I take pcm or commerce as my main stream in class 12.? You should have commerce in your coming education. i think it is better u take commerce as it will provide u a right base for ca. maths is very imp. in ca. so i feel commerce is d best option. Will the base of 11& 12 of commerce decreases the toughness of CA course….?. No.it won’t make difference by pursuing commerce course or mpc group in inter…ca syllabus is completely different from inter education. ….but if once to stick on to ca u must have dare to do it…. they say,” it’s easy to get into a CA course but it is difficult to clear it” is it true? how much hard work does it require? do we have maths in this course? here i am adding some another words “getting pass is not enough, score highest always matters”. yes you can take. Math is not compulsory for CA. go for CA and fill the form for CPT/IPCC. sir I want to do CA after 12th I chose math in 11th or not. it will be better if you do the same. Which stream is better to take in plus one and plus two to go for CA. Sir I want to became a ca is 10th result matters a lot what subject I should take with commerce in 11th for ca Computer or maths or any other.